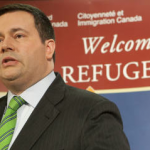 Since the mid-1990s, Canada has served as a safe refuge for asylum-seeking Mexicans. In recent years however, especially during the violent escalations of Mexico’s Drug War, a conservative Canadian government has become increasingly skeptical of these asylum-seekers. As the North American Congress on Latin America reports, “Between the mid-1990s and 2009, almost 50,000 Mexicans arrived in Canada to seek political asylum. Each year, however, as their numbers increased, the level of acceptance of their applications by the Canadian government steadily declined (30% in 1996 versus a low of 8% in 2009).” This precipitous drop in acceptance was due in large part to Stephen Harper of Canada’s ruling Conservative Party, who in 2009 imposed a series of strict visa requirements for those hoping to come to Canada. According to NACLA, “while this measure addressed all Mexicans hoping to travel to Canada, its primary objective was to stem the flow of asylum-seekers.” A large aspect of these requirements was the desire to curtail ‘bogus’ or ‘false’ applications for asylum. 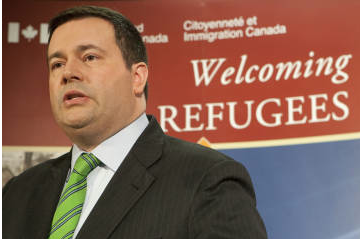 Through the implementation of a new reform called the Immigration and Refugee Protection Act, “the Canadian government has created the category of “safe countries” (or “Designated Countries of Origin”), which promises to dramatically alter the way in which asylum-seekers from these countries are treated and processed.” In addition, “asylum-seekers from ‘safe countries’ will no longer have the right to appeal the decision on their case.” This coming fall, Mexico is sure to be listed as a so-called ‘safe country’. This would have severe repercussions for Mexicans who face serious life-threatening violence every day. However, Mexican communities in Montreal, Quebec are taking action and protesting. Says NACLA, “since November of 2011, Mexicanos unidos por la regularización (Mexicains Unis pour la Régularisation, or MUR) has brought together Mexican asylum-seekers, refugees and allies to organize against current Canadian policies.” In addition to fighting for the regularization of the asylum process, they also accompany and aid asylum-seeking individuals and families through the now dicey process. Read the whole article from NACLA here.